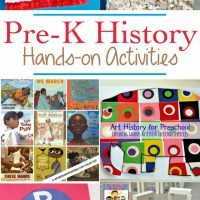 Do you have a preschool aged child? 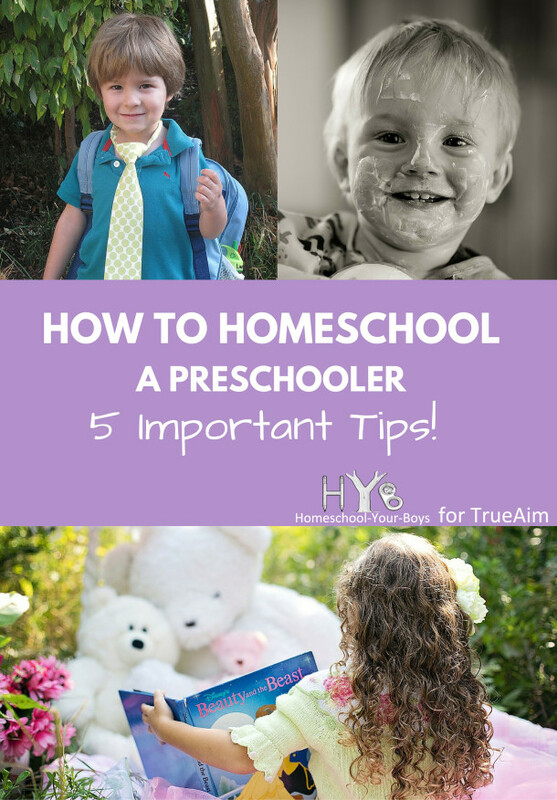 Are you wondering how to homeschool a preschooler? Fortunately, children in this age group are usually eager to learn. They love spending time with their parents and siblings and they enjoy mastering new skills. This is all good news! If you sent your child off to preschool, he or she would learn their letters, shapes and colors. He would practice counting, cutting, and holding a pencil. He would also work on sitting still for longer periods of time. These skills are all important and should be covered with our kiddos – whether they are at home or at school. But we must be sensitive to what our preschool-aged kids can handle or we can begin the process of squashing their love of learning. Some 2-year-olds are ready to do light lessons. Some 5-year-olds are not. The only way to know if your child is ready is to give it a try and see how they respond. If your child is excited while you are working with him or her, then you should continue. If your child balks or seems frustrated, then put the lessons aside and wait a few months. After taking a break, you can try again and see how he responds. Once you’ve determined that your child is ready, you can set up some lessons for him. When doing so, please keep these 5 important tips in mind! 1 – Involve all of their senses – Kids learn best when they are moving. Try to get their entire body involved in the lesson. When learning a new letter or number, use a variety of methods for teaching the concept. Use masking tape to make a large letter or number on the floor and have your child walk along the outline. Play music and ask your child to dance or skip or jump along the outline. Have your child count out that number of M&Ms and eat them. Say a rhyme or sing a song about the number. Keep it varied. 2 – Make it fun – The more fun you can make the lessons, the more cooperative your child will be. Have him jump on a trampoline while saying his ABCs. Let him act out the story while you read aloud to him. Whenever he answers a question correctly, throw a circus peanut or a marshmallow at him and let him try to catch it with his mouth. Keep things light and silly so that your child will thoroughly enjoy the process. 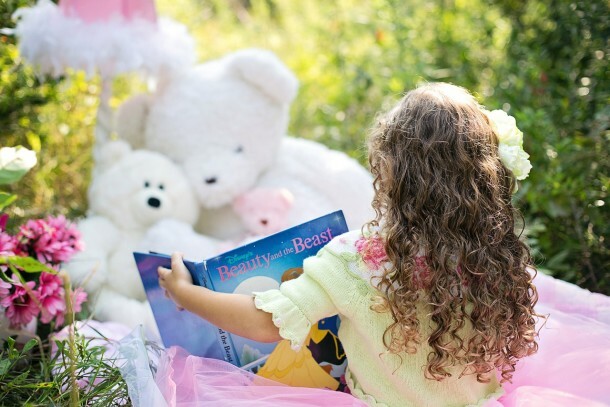 3 – Do lots of reading – One of the best things you can do for your child is to read to him. Sitting still is a learned skill, however, so if you notice your child has a hard time listening to an entire picture book then read half of it to him. Let him move around and then try to finish the book. For kids who struggle with sitting still, consider letting him play quietly at your feet with cars or some other object while you read to him. Be sure to use an expressive voice. Pause to point to pictures and ask your child questions about what’s happening. 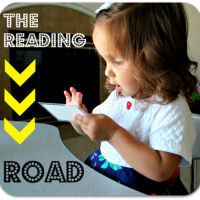 Reading aloud can and should be a very interactive process at this age. 4 – Work on motor skills – As kids get older, they will need to be able to write and to move their bodies in coordinated ways. Working on fine motor and gross motor skills now will give your child an advantage in the next few years. 5 – Don’t forget life skills – Academics are only one aspect of life. There are many other skills we should also be working on with our preschool-aged kids. Make sure your child knows their left from their right. Allow your child to dress himself – even if he doesn’t do it exactly the same way that you would. Help your child learn how to properly express his feelings rather than being demanding or melting down. Work with your child on following instructions. Help your child learn how to share and get along with others. And make sure your child has his phone number and address memorized. Young children are like sponges and they are capable of learning a TON of information. When done the right way, you can teach your preschooler without them even realizing they are learning anything! Keep it light. Keep it fun. And let your child move! 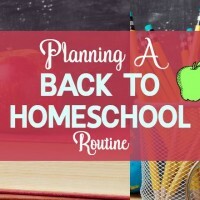 Question: Are you planning to homeschool your preschooler? Have you already taught preschool at home? If you have any other tips you could share, please leave a comment below!